We’re up and running with the Great North Festival of Agriculture here at Beamish – a whole season of activities celebrating agricultural and rural heritage in the North East. 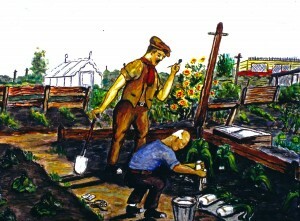 Next weekend, the 7th and 8th September, sees the ‘Growing Your Own’ competition (see http://www.beamish.org.uk/growing-your-own/ for more information and to get involved). It’s the perfect excuse to dig out (no pun intended!) 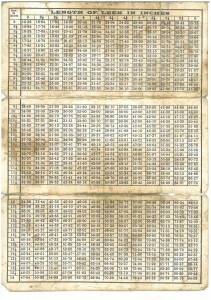 some interesting collections that reflect the rich history of growing in the region. 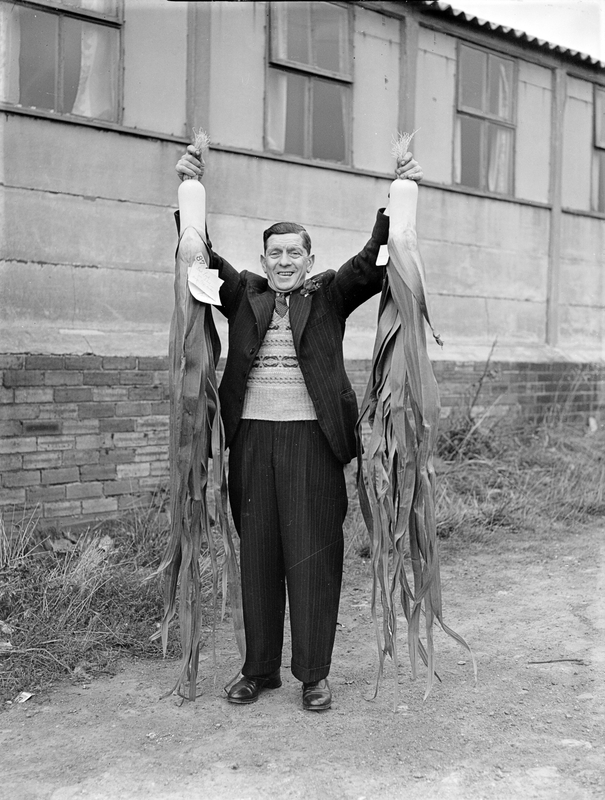 It seems the obvious choice, but it’s impossible to ignore the role of the mighty leek in this history, and it isn’t hard to find leek-related highlights from our collection. 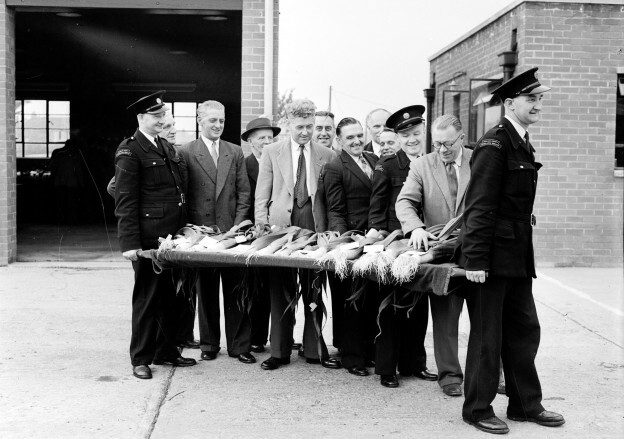 The importance of competitive leek growing in the mining communities of the North East is a well known story, and this is certainly reflected in our own collection. 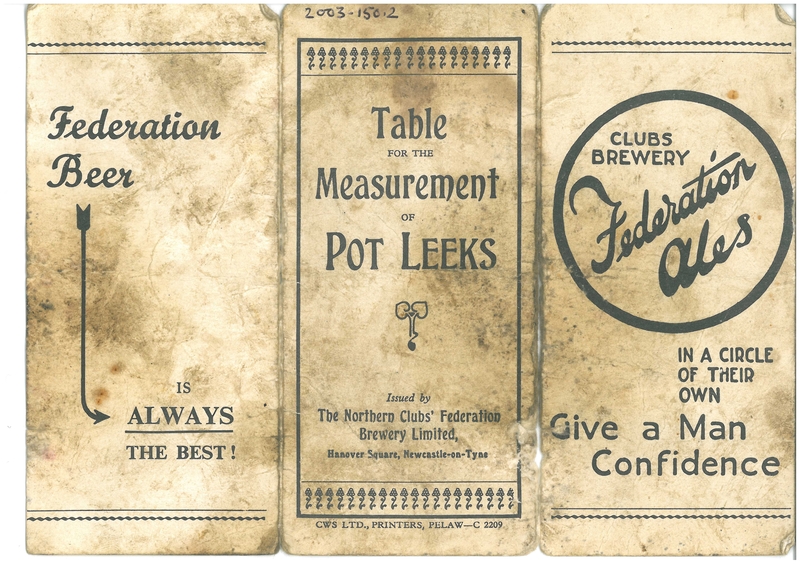 We have everything from club posters and membership cards to ceremonial leek measures! 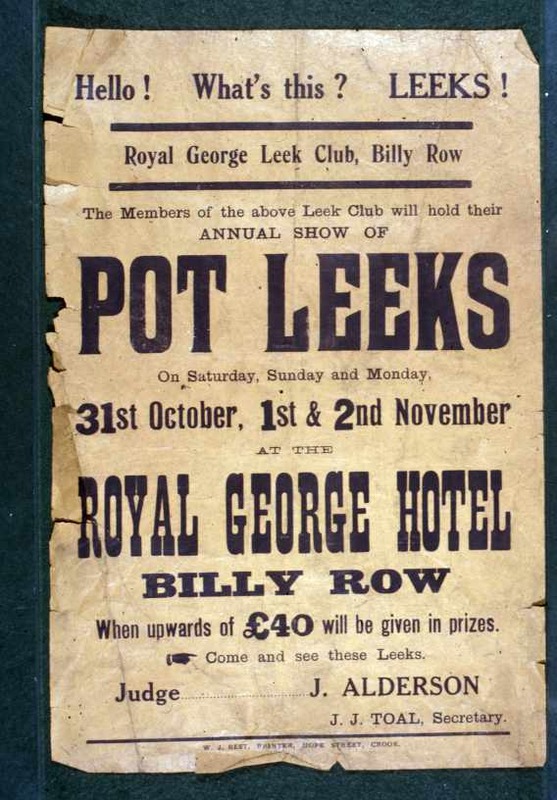 Everyone entering a leek show paid a entrance fee which helped to fund the prizes: prize funds were boosted by year-round fundraising activities such as raffles and draws. 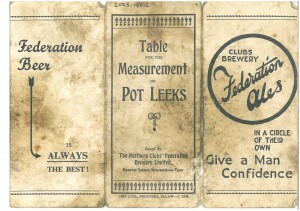 The prizes could be valuable but were invariably household items such as furniture and appliances, and these were displayed alongside the show tables in a hall decorated by the leek club members’ wives. 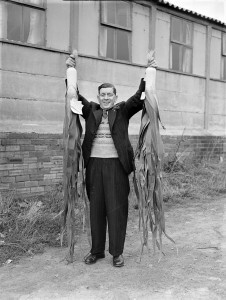 One description of a 1950s leek show describes the show hall on a leek weekend as looking like a ‘department store gone mad!’. 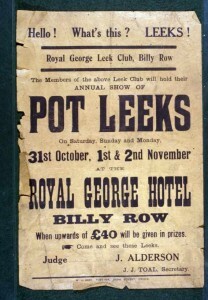 Prizewinners were carefully recorded – records show that the three prizewinners at the 1895 Langley Moor Leek Show were a Mr J. Bell (winner of a tea set), J Milner (winner of a steel fender), and Mr W. Willis, who was the proud winner of a pair of trousers! Leeks were so heavily associated with mining communities in the North East that they make appearances in the most unexpected places. This 1984 cartoon by Guardian cartoonist Steve Bell shows well-meaning London liberals John the Monkey and King Penguin lending their support to the NUM in the 1984-85 Miners’ Strike – note the giant leeks growing in the garden! If…1984, by Steve Bell – image from theguardian.com. 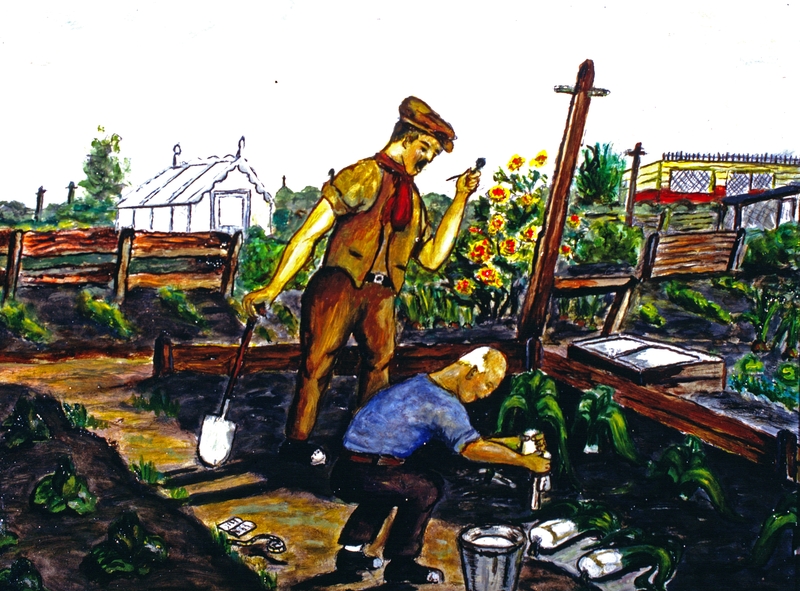 For better or worse, allotment gardening is a distinctly different and more diverse pastime now than at any point in its history, but the leek clubs and shows continue to play an important part in former mining communities and beyond. Even in my own allotment in hoity-toity Hexham, pot leeks abound and competition is fierce: in the land of the organic pak choi, the leek remains King! 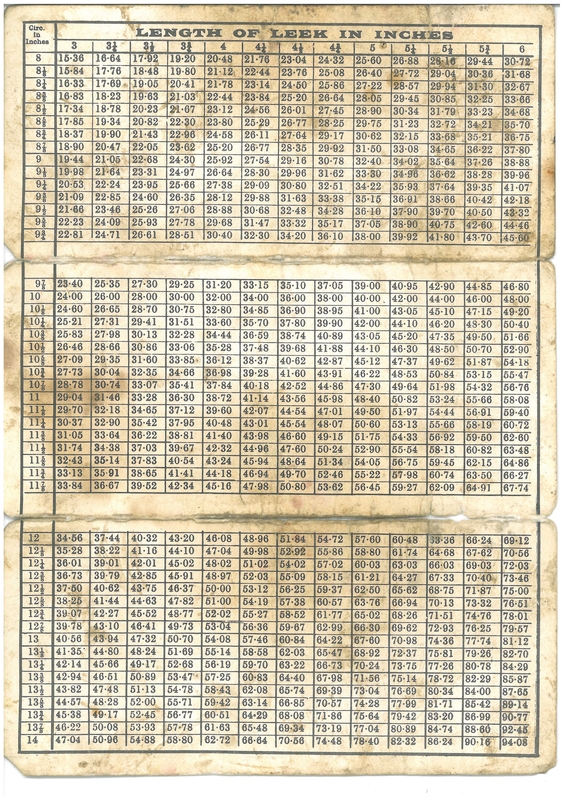 This entry was posted in Adventures in Collecting on August 30, 2013 by BeamishMuseum.